It may happen that you are not able to access a specific or multiple websites in Chrome that have SSL certification. 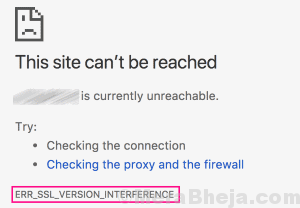 If the error code that Chrome returns is ERR_SSL_VERSION_INTERFERENCE, then it is some error related to SSL certificate of websites. Basic troubleshooting might not be able to fix this issue; however, it can be solved using some not so common, but simple methods. 1. Incorrect Time and Date set on your PC. 2. Antivirus or Antimalware interference. 3. Browsing Data or Cookies messing up. 4. Hardware Accelerator turned On in Chrome. 5. An older version of Google Chrome installed on PC. It could be any of the above reasons that could be causing the ERR_SSL_VERSION_INTERFERENCE error in Chrome. It is imperative that you try each of these methods beginning right from the Method #1 mentioned below, till your issue is fixed. Once Chrome restarts, try to access the website that was fetching ERR_SSL_VERSION_INTERFERENCE error. Still getting error? Try next method. If you are getting the ERR_SSL_VERSION_INTERFERENCE error in Chrome, then the first thing to do is run your eyes through the current time and date in Windows. You can view both time and date at the bottom right corner of your monitor on the Taskbar. Match the time and date with your watch or your phone’s date and time to make sure that the correct time is set. If it is set correctly, then move on to Method #2. If your time and date are set wrong, you have to correct both. Now, you can manually set the time and date on your PC, but it is preferred if you set the time and date to be updated automatically. To set the time and date manually, simply click on the Time and Date panel, then click on Change date and time settings option from the small window that pops up. 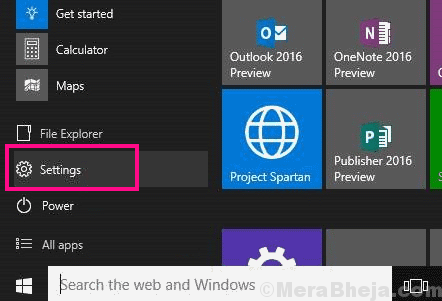 Step 1: Press the Start button to open the Start menu. There, click on the Settings option. This will open the Settings window. Step 2: From the Settings menu, click on the Time and Language option. 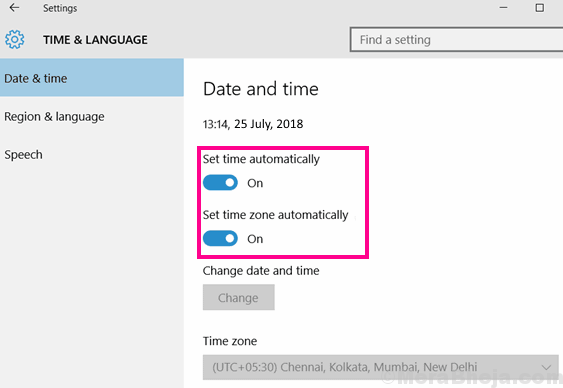 From the Time and Language options, enable the Set time automatically and Set time zone automatically. Now, restart Chrome and try to load the website which was showing the ERR_SSL_VERSION_INTERFERENCE Chrome error. If the issue was not solved, try Method #2. 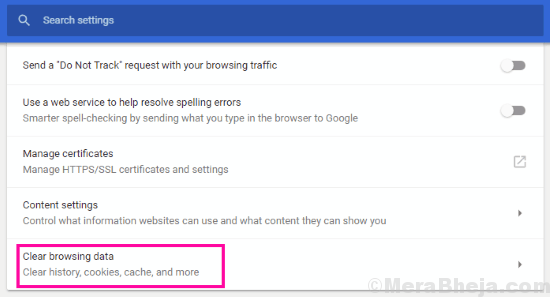 This method has been reported to do the trick for most of the users to solve ERR_SSL_VERSION_INTERFERENCE Chrome error. You just need to Disable any third party Antivirus, Antimalware, or Firewall software installed on your PC. Temporarily disable these software, then restart Chrome and try to access the website that you were unable to. If you are able to access the website, then there are two ways for you to go. You can either disable antivirus, antimalware or firewall software whenever you need to access the website. Or, you can uninstall your current antivirus, antimalware, or firewall, then look for an alternative that would not interfere with Chrome to show ERR_SSL_VERSION_INTERFERENCE error. It would completely be a hit and try method, so you will have to keep trying finding an alternative that works for you. Here are some best antivirus software that you should consider. Step 1: Open Chrome’s Menu by clicking on the three dots present on the extreme right-hand side of the Address bar. From the menu, select the Settings option. Step 2: Open Chrome’s Advanced settings. 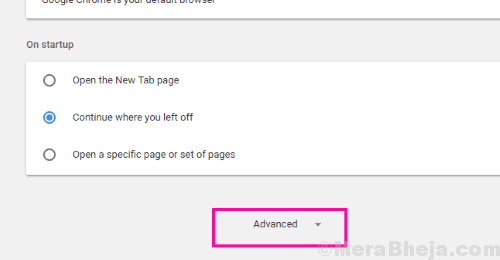 For this, scroll all the way down in the Chrome’s Settings menu; there click on Advanced option. Step 3: Go to the Privacy and Security section there. 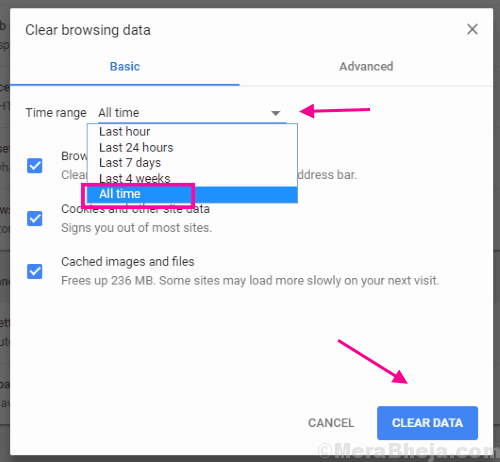 You will find the Clear Browsing Data button; click on it. Step 4: On the new pop-up window that will open, select all the options, then from the Time range drop-down, click on All time option. This will get rid of all the cogged up browsing history and cookies. Restart the Chrome browser and try to access the website now. If you still get SSL error in Chrome, try the next method. Step 1: Follow Step 1 and Step 2, as mentioned in Method #3 above to open Chrome Advanced Settings. Step 2: Go to the Reset and cleanup section there, and click on the Clean up Computer option. If any harmful program is detected, uninstall it from your PC. After that, restart your PC and open Chrome. In Chrome, check if you are able to access the website without ERR_SSL_VERSION_INTERFERENCE error. If not, give Method #5 a try. 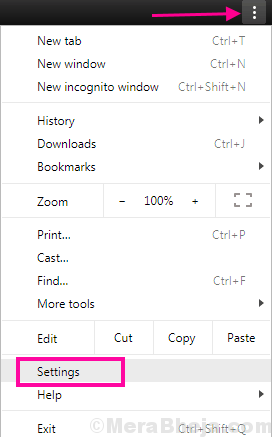 Step 1: Open the Chrome’s menu by following the Step 1 in Method #4. 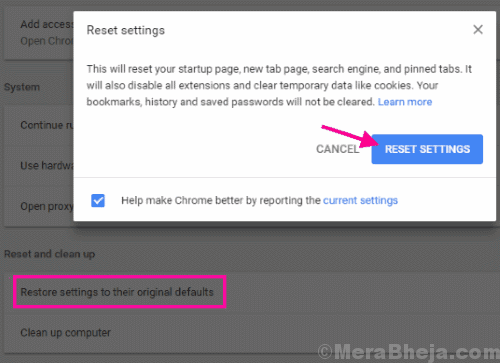 But, instead of clicking the Settings option, click on the Help option, then from the Help menu, click on About Google Chrome option. Step 2: This will open a new window in Chrome. 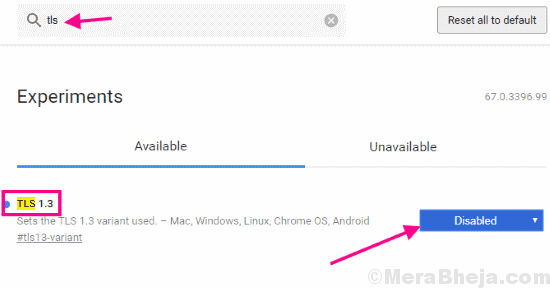 In this window, Chrome will start looking if a new version of Chrome is available. 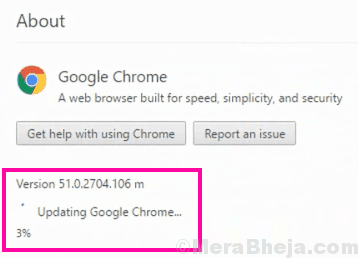 If it is available, you will see the option to update Google Chrome. When the update completes, simply restart Chrome. Try to load the website. If you are still getting the error, you should reset Chrome. 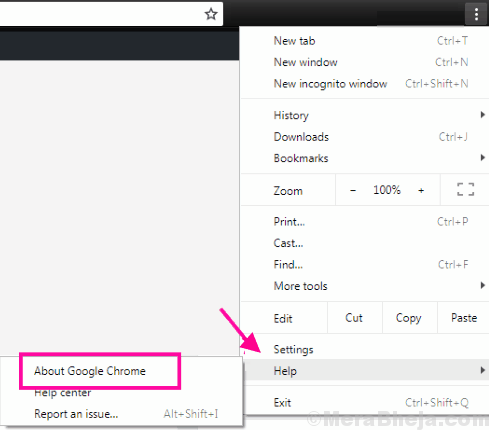 Step 1: Open Chrome’s Advanced Settings menu by following Step 1 and Step 2 from Method #3. Step 2: Here, go to the Reset and clean up section. Now, you have to click on the Restore settings to their original defaults option. A dialog will ask you if you want to reset the browser. Allow it and wait till the reset is complete. Once done, restart Google Chrome and check if you are still getting ERR_SSL_VERSION_INTERFERENCE error while loading the website. Try the next method if this step failed. Step 1: Open Chrome’s Advanced Settings. For this, repeat Step 1 and Step 2 from Method #3. Step 2: In the System section, look for Use hardware acceleration when available option. When found, disable it. After disabling hardware acceleration, restart Chrome on your PC and check for the error. if you are unable to solve the issue on your own and tried everything, then there are chances that the SSL certificate of the website has expired. Try accessing the same website on any other device. If it doesn’t open on them as well, then you probably cannot do anything about it. Disabling TLS 1.3 worked for me. Finally. I nearly despaired because of this issue. Thank You! Disabling TLS 1.3 helped. Thank You! Wow! Did not expect the first suggestion to work. Not sure what TLS 1.3 is but disabling it did the trick. Thanks a lot! Disabling TLS 1.3 (and using weaker TLS 1.2) is not a solution. Firefox works chrome doesnt. Google needs to fix their TLS implementation. This article is BS.